The Leading Peanut Free, Soy Free Choice! 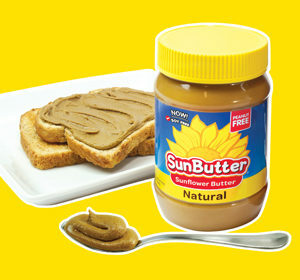 SunButter Sunflower Butter is the perfect peanut free, soy free choice for sandwiches and recipes. 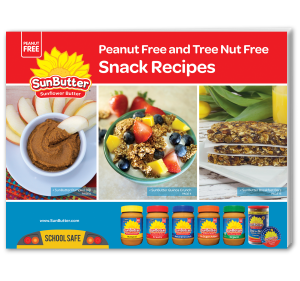 With 7 grams of protein per serving, SunButter has as much protein as the leading peanut butter, and it’s top 8 food allergen free, so it’s an ideal, school safe solution to pack for lunches and snacks where peanuts can’t be served.